Cincinnati's premier island entertainment band - The SunBurners. Looking for a steel drum band for your party? Want a fun and unique experience for you and your guests? The SunBurners take care of it all! From weddings to backyard parties, corporate events to community concerts - we bring good island vibes anywhere with authentic steel drums and a backing band of professional musicians. 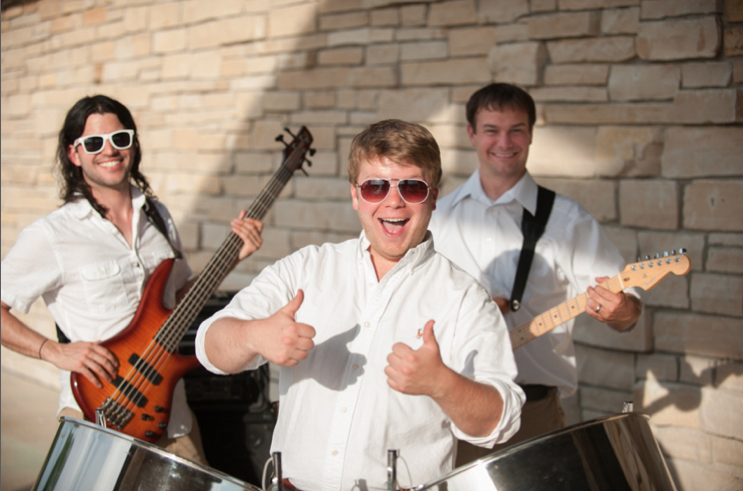 The SunBurners have options ranging from a solo steel drummer to our full 5-piece party band. We have wedding packages designed to fit any budget and offer special discounts to charities and other non-profit organizations. Booking is fast and easy, and we provide free quotes for any event! Great band - everyone loved them! The Sunburners played for our daughter's Caribbean themed wedding reception in Ohio. (She was married in Jamaica.) They played calypso music for the cocktail hour, DJ for the dinner, and were a fun and fabulous band for after dinner dancing. Everyone loved them and we had many people asking who they were and wanting to hear them again. Great dance music with a good volume that still allowed guests to hear their own conversations . Very professional and great to work with! Our group hired The Sunburners for our Christmas party. We had heard them at Margaritaville and thought they were great. They did not disappoint! The party crowd loved them, the music is varied enough to satisfy even non-trop rock fans, the cost was reasonable and the talent level is outstanding! A definite contender for a "do over" for a future event! Perfect beach music for our corporate event! We hired the Sunburners to play for our United Way kick-off "Beach Party" event. We needed a band that understood we wanted to have a good time... but that it was still a business venue. We had margaritas and snacks and games, and the SunBurners provided the perfect musical backdrop for a great event. They were prompt and communicative and got set up before the event started so that there was plenty of time to do sound checks and since they brought their own equipment, all we had to worry about was providing power (and margaritas). I would definitely recommend them to anyone looking to provide a great beach sound for an event, and I'll certainly hire them again for my next beach party! 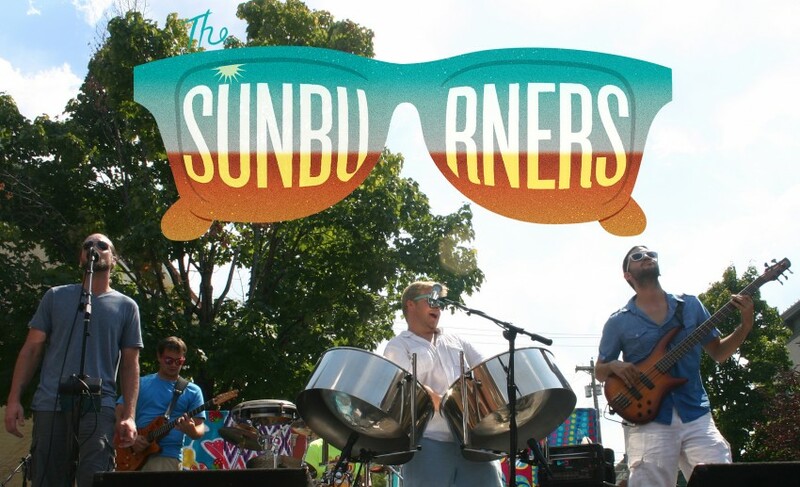 As Cincinnati's favorite island party band, The SunBurners are experts at bringing great music and beach fun to every show. They can provide full lighting and sound production for any performance. All production and additional equipment used included in one overall fee. Their playlist represents an eclectic blend of genres, including pop, reggae, R&B, country, funk, and rock. The band combines authentic steel drums and feel-good grooves to put their own twists on the songs of Bob Marley, Stevie Wonder, Zac Brown, The Eagles, and more. The SunBurners love to perform on the road for any event - no show is too far! With their fun-loving attitude and exciting live show, you won't be able to resist moving your feet and cracking a smile. The SunBurners combine authentic steel drums, great vocals, and a killer backing band to create one of the most unique musical experiences around. 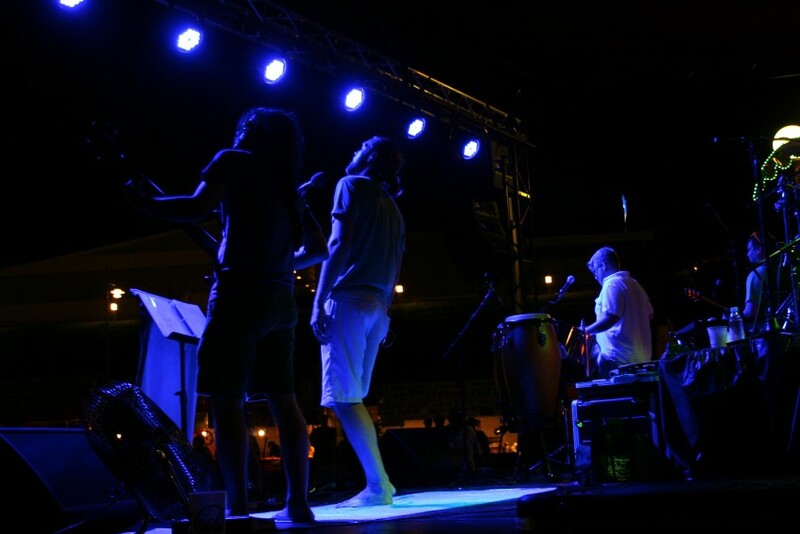 The band is dedicated to delivering professional level, crystal-clear, live music accompanied by a high energy stage show that will whisk you away to your favorite beach party spot. Add that to the group's fun-loving attitude, exciting live shows, and professionalism, and you'll find that the SunBurners are the island party band of your dreams. The SunBurners also offer smaller band options designed for cocktail hours and private parties. We have options ranging from a solo steel drummer to our full 5-piece party band. The SunBurners love to perform at wedding receptions, corporate events, private parties, community concert series, and nightlife venues. We have wedding packages designed to fit any budget and offer special discounts to charities and other non-profit organizations. Full lighting and sound production are available if needed. Input list, stage plot, and technical rider all supplied upon request. Jimmy Buffett, Bob Marley, Zac Brown Band, Stevie Wonder, The Eagles, Jason Mraz, Maroon 5, Doobie Brothers, Billy Joel, 311, Santana, Sublime.